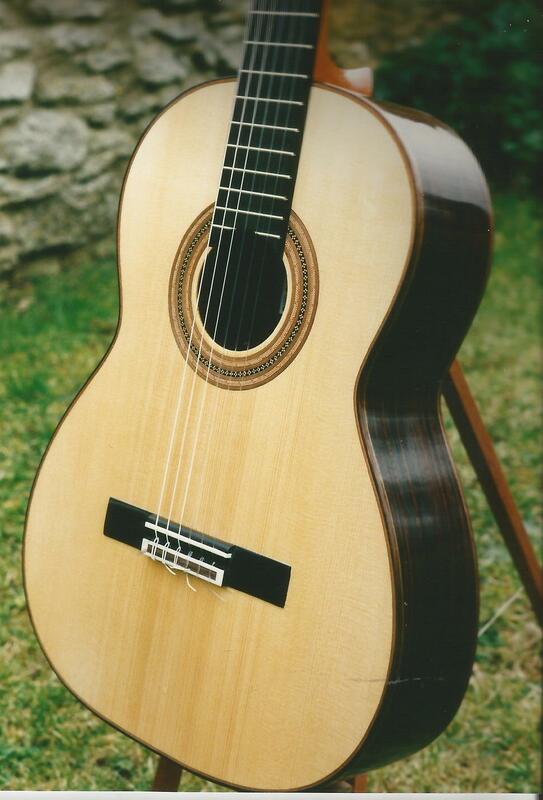 Concert guitars by Roy Summerfield - Prices from £2,500. 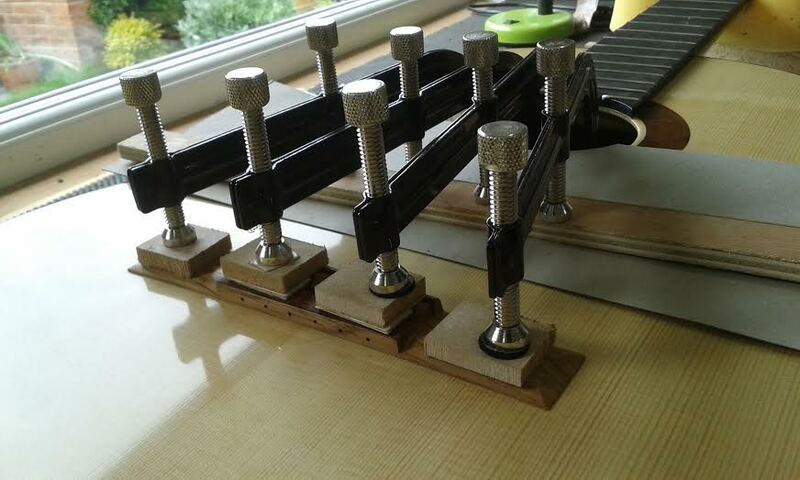 I specialise in concert classical guitars with a soundboard design based on an eighteen-strut lattice layout. The spruce soundboards are top quality boards sourced from Swiss trees. Back and sides are normally Indian Rosewood, and necks re walnut. Two models are available; a larger Hauser body shape and a slightly smaller Torres shape. The sound is that of a traditional Spanish classical guitar, but with greater sustain and projection. · Soundboard between 1.0mm and 1.3mm maximum thickness in the lower bout, and up to the lower harmonic bar; 2.0mm to 2.5 mm in the upper bout. · Nine struts each way (eighteen in all), 2.0mm to 2.5mm wide, finishing at 5.0mm to 6.0mm tall, tapering down slightly towards the edges. 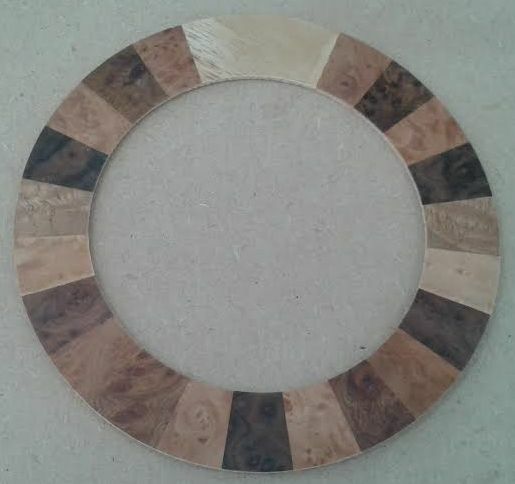 · Sides 1.8 mm for bending, then laminated with two layers of 0.6 mm veneer inside. Back 2.5mm to 3.0mm thick, then laminated with two layers of 0.6mm veneer at right-angles to each other. (This makes for a reasonably rigid back and sides, but not total rigidity. Thus the species of wood for the back and sides is important - hard, dense wood like Rosewood, Wenge, Ziricote etc produce a sharper, more piercing sound, whereas softer, lighter species like Walnut, Maple, Mahogany, fruit woods, produce a smoother, more mellow sound. · String height at the saddle 9.0mm to 10.0mm for first string and 11.0mm to 12.0mm for sixth string. 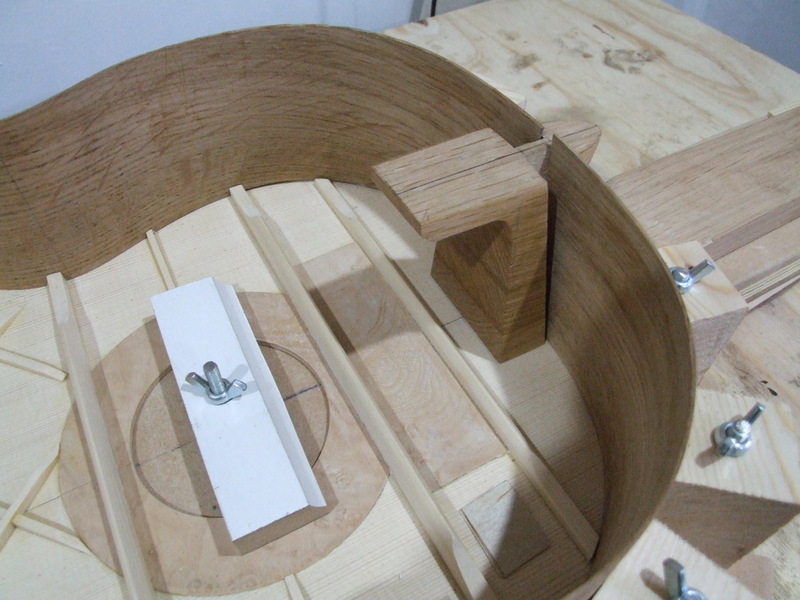 · 'Rosette' string beads fitted to maximise the break angle from saddle to bridge hole, for clarity of sound. Guitar Making Courses Our guitar making course teaches you to make a classical guitar, using traditional tools, and perfecting the skills and techniques that have enabled luthiers over the centuries to build the finest stringed instruments.